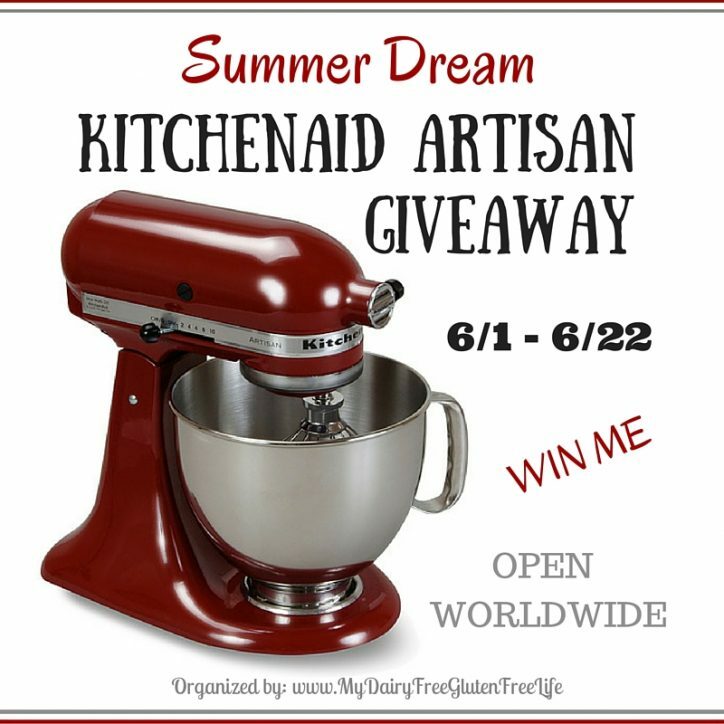 Summer Dream 5 Quart KitchenAid Artisan Giveaway! I am thrilled to be giving away a 5 Quart KitchenAid Artisan Giveaway! I use mine almost every day! If you have never owned one, you are in for a treat!! Enter for a chance to win a KitchenAid 5-Qt. Artisan Stand Mixer below. What will be the first thing that you make with your new KitchenAid? Love KitchenAid products and I could definitely use a new mixer. Baking all the time for 2 Cookin’ Mamas would be a lot easier with this wonderful KitchenAid mixer. Who in their right mind doesn’t want a kitchen aid stand mixer? OMG..!! Greatest prize ever. What an amazing giveaway! I love Kitchenaide products I have the food processor, fridge and coffee grinder and Dish Washer love love to have the mixer! Would love a new mixer, thanks in advance.